Library director Irene Green came to the Nov. 7 City Council meeting to explain the responses to the first survey the Canby Public Library held from Aug. 20 through Sept. 21. More than 520 people responded, mostly in English, but also included 30 from Spanish speakers. The respondents made 734 comments, and as Green and Carol Palmer explained at the council meeting, they were happy with the number and answers received. However, this is the preliminary response, "…We're still combing through the comments," Green said. One thing they've found is to "move children's computers away from adults' computers to provide a quieter area for adults." "The survey brings up a baseline for the staff to take steps toward providing what patrons want, where to focus programming and to ensure we provide them the programs they would like to see," said Green. The most responses came from Canby with 434 people responding. The rest came from a number of areas including Clackamas, Washington and Marion counties as well as from Yamhill, Clatsop and even some from out of state. 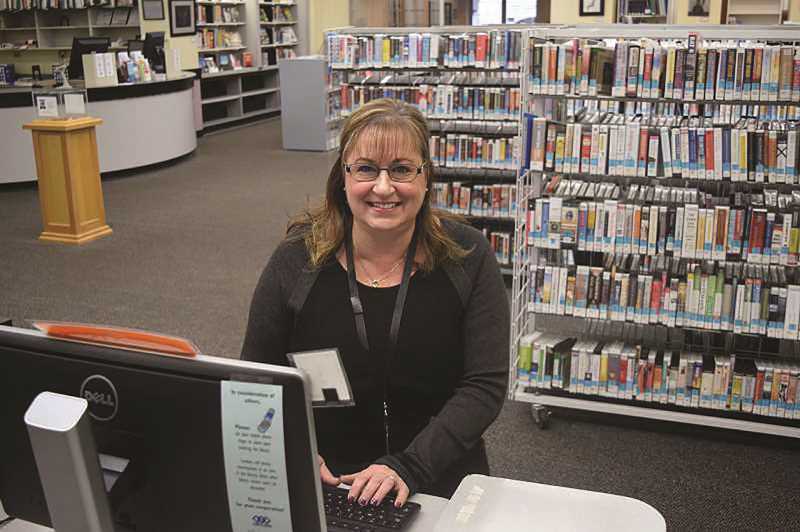 Canby's service population is 23,984 and library card holders are up to 11,842. Of the total, 59 percent say they leave the library satisfied, with 8 percent saying they are less than satisfied. As for the staff's service, 31 percent of patrons found it exceptional, 37 percent felt staff was helpful and pleasant and 20 percent never asked for help. As for usage, 32 percent use the library once a week while 43 percent make it a couple of times a month. The largest percentage, 22.66 percent, are ages 30-39 followed by the 60-69 age group, the 50 to 59 years group, the 40 to 49 year olds and the 70 to 79 year olds. The smallest groups were 10-15, 16 to 19 and 20-29. The largest volumes of users happen to have some college background or graduated from a university. Oddly, middle school aged patrons use the library more than those with some high school background, while high school grads use the library more often than vocational/technical school grads. Fifty percent of the people filling out the survey found their library visits were successful. But 35 percent found the item already checked out, couldn't find the material (it had to be requested), all computers were in use or not working and Wi-Fi wasn't working. Most people, 36 percent, come to the library to obtain books, music or DVDs. A few come to attend a meeting or a program, about 10 percent to study or work, 3 percent to socialize and 7 percent to relax. The survey found that 15 percent come to use the computers or Wi-Fi and 2 percent to use a study room. People describe their version of the library's atmosphere, safety and friendliness: 22 percent thought the quiet is reasonable and 11 percent cast it as very quiet. Seventeen percent found the library safe, but 18 percent thought it was uncomfortable. And, 17 percent found it very neat. They also described the atmosphere as very clean, but basically not very friendly. And as for fun and exciting only 7 percent found it very much so, while 25 percent said it was reasonably fun and exciting and 29 percent said it wasn't very fun or exciting. According to respondents, fiction books easily were the most used over the past year, with non-fiction books, movies (DVDs/Blu-rays) and best sellers following close behind. People using the library for technology typically use Wi-Fi access for personal computer or mobile devices, Internet on library computers for YouTube, gaming and social media, to print or copy items, downloadable e- and audio books, online databases, Microsoft Office, scanning and or faxing. Programming appeared to score the least. For example, 32 percent didn't attend any programs over the preceding 12 months, 17 percent attended adult programs, 13 percent children's programs, 10 percent of respondents attended Storytime, 9 percent library outreach events, 8 percent family programs and 5 percent teen programs. People would like to see more computer classes and genealogy databases, access to more e-books, downloadable movies, more computers for Internet access, computer classes in Microsoft Office and mobile printing. Others wanted more tablets and laptops for customer use, downloadable music, classes for social media, designated gaming computers and more computers. People checked off a number of important adult programs including international/educational talks and classes, arts and crafts, author visits and discussions, music and entertainment, book groups, bilingual programs, networking and gaming. Leading the way for children's programs are summer reading followed by Storytime, informational or educational events, entertainment and drop-in activities, discovery room, bilingual and maker space activities and book groups. Teen programs also were topped by summer reading program followed by entertainment and socials, crafts, informational or educational, gaming, book groups and bilingual programs.